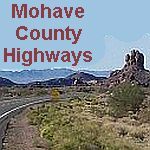 Mohave Silent Witness has been serving law enforcement and our community in Mohave county since May, 1996. We are a non profit and always welcome new members. Kingman Cancer Care Unit is in it's 39th. year in helping individuals with Cancer. All money that is raised or donated and given to the Unit for Cancer patients stays here in Kingman, 100 percent. The Cancer Unit would like to Thank and give a big shout out to the Veterans for allowing us to participate in your Parade, and to Thank the many Men & Women that have served our Country. To All of Kingman, we Thank You for supporting and helping us for all of these years, and know that we can count on you in the Future for helping our Kingman Cancer Patients. Remember our 39th. Annual Arts & Crafts Cancer Fair has started today at the Fairgrounds & continues on tomorrow Sunday Nov. 9th. There is No Admission Fee!! From the bottom of our Hearts, the Kingman Cancer Care Unit Thanks All of Kingman!!!! Thank You, Thank You, Thank You!!!!!!!!!! Parade vehicle provided by Martin Swanty Chrysler Jeep Dodge Ram.